Set in the beautiful Val d'Orcia, a UNESCO World Heritage Site since 2004, Palazzo del Capitano Wellness & Relais is located in the old medieval town centre of San Quirico d'Orcia, renowned for its architecture and for the Bagno Vignoni thermal baths, which are just a short drive away. Palazzo del Capitano Wellness & Relais is a 14th century historical building that has been converted into a charming and romantic hotel. In the atmosphere of the old palace, surrounded by the fragrances and colours of the romantic garden, guests will find all modern comforts, relax with the spa treatments offered at “La Grotta di Venere” and enjoy an unforgettable holiday experience in Tuscany. Palazzo del Capitano Wellness & Relais, together with Villa del Capitano Art & Relais and Dimore del Capitano – Hotel Diffuso, is part of the Capitano Luxury Collection. 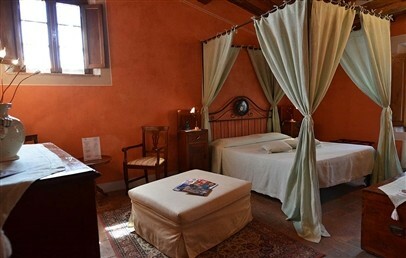 All three facilities are located in San Quirico d'Orcia, just a short distance from each other. 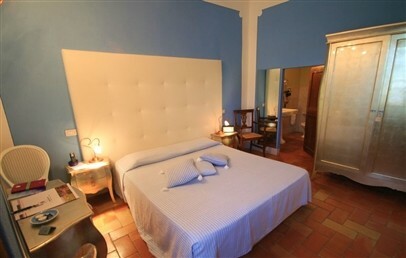 All rooms feature period furniture, wood-beamed ceilings, warm pastel-coloured walls and fabrics, canopy beds (in some rooms), travertine marble bathrooms with glass shower box. Classic – approx. 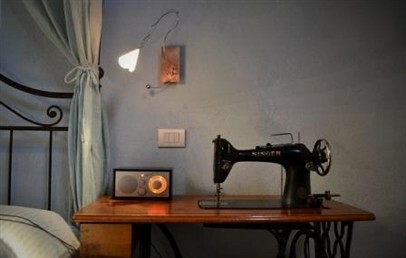 18 sqm, double room decorated in shades of blue and pink. Bathroom with shower. 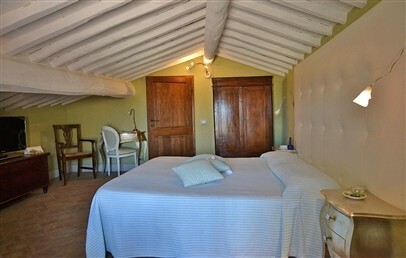 Basic Suite – 30-35 sqm, with pastel-coloured linen fabrics. Bathroom with shower. Superior Suite – there are two Superior Suite 60 sqm: one is laid out over two floors; the other is a large open space suite. Bathroom with shower. 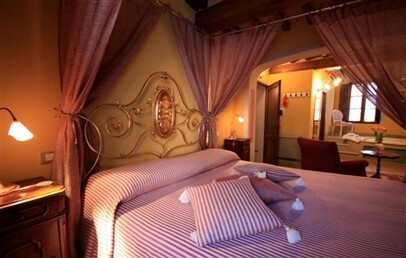 Romantic Wellness Suite – 40 sqm, ideal for a romantic break or to celebrate a special event. The Romantic Wellness Suites feature a large hydro-massage bathtub for two with chromo therapy (in the bedroom or on the mezzanine floor), and a wood burning fireplace at the foot of the bed. The exclusive use of “La Grotta di Venere” Spa, located in the Wellness Wing of Palazzo del Capitano Relais, is the perfect opportunity to relax in total privacy. Guests can choose a range of different treatments; Wine Therapy, Choco Therapy and CromAroma Therapy. All treatments must be booked in advance. We recommend that guests book their treatments at the same time as they book their stay. San Quirico and Val d’Orcia are ideal places for anyone who loves running, cycling, horse riding, and taking long walks surrounded by nature. Maps with the best routes in the area are available at Reception, where guests can also book horseback rides or rent any of the many types of bikes available (mountain, road or racing bikes as well as the latest e-bikes). The nearest golf courses are approximately 30 km away, while the tennis courts are just outside the old town walls. Palazzo del Capitano offers different options for both lunch and dinner, giving its guests the chance to discover and appreciated the art of Tuscan cooking. “Al Vecchio Forno”, a traditional Tuscan trattoria, is located in a characteristic Medieval building next to Palazzo del Capitano. Its cuisine is recommended in the best restaurant guides. 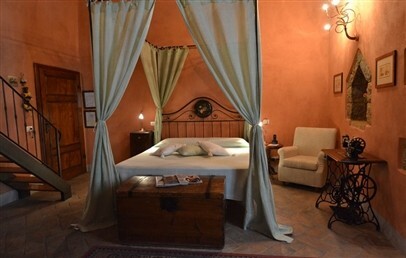 It serves traditional home-made dishes, accompanied by a great selection of Tuscan wines. The Enoteca Ristorante Petassi is available for private events, while the Garden Bar, open all day until late in the evening, serves drinks that can be enjoyed comfortably seated in the shade of the olive trees, while listening to music, surrounded by fountains and water features. Within the 1000 m2 park, guests will find areas to relax in, with comfortable armchairs and sun loungers, in the shade of the olive trees. Hidden among the bushes of lavender, rosemary and jasmine, Hortus Eden is a wellness area with “Le Acque di Poseidon” hydro-massage and chromo therapy bathtub and a cabin, "La Capanna dei Massaggi", where skilled professional hands offer relaxing massages. In Via Dante Alighieri, just a few steps from the hotel, the Boutique del Gusto and the Boutique dei Profumi, part of the Capitano Hotel Collection, offer the best local produce (from wine to olive oil and cheeses) and great fragrances and beauty products. 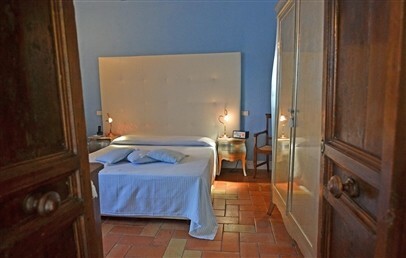 Decorated in shades of blue and pink, Classic rooms feature wood-beamed ceilings, Art Deco furniture and original terracotta floors. 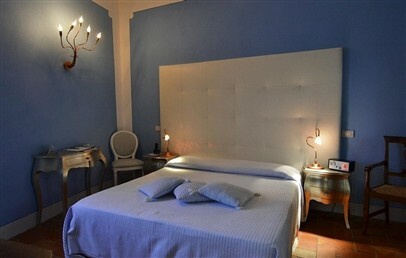 They have a double bed and en-suite travertine marble bathroom with glass shower box. An open space suite featuring period furniture, terracotta floors, wood-beamed ceilings and pastel-coloured linen fabrics. Basic Suites have a canopy bed and en-suite travertine marble bathroom with glass shower box. There are only two Superior Suites. The first one is laid out over two floors: on the ground floor there is a lounge with a sofa bed, period furniture and a travertine marble bathroom with glass shower box. 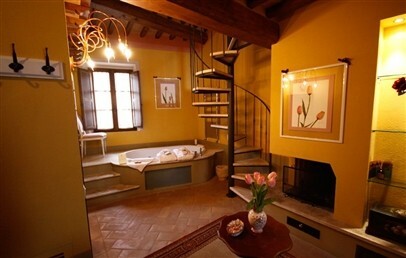 Wooden stairs lead to the mezzanine with a double bed and a second travertine marble bathroom with glass shower box. The second is an open space suite with a lounge area, high wood-beamed ceilings and original 15th century stucco works, period furniture, canopy bed and travertine marble bathroom with glass shower box. Located in the wellness area, these suites are ideal for a romantic stay. They feature a canopy bed with pastel-coloured linen fabrics, large hydro-massage bathtub for two (in the bedroom or on the mezzanine floor). Travertino marble bathroom with glass shower box. For stays of minimum 3 nights: a massage for one person!